Accessible Performance Big fun for the whole family, the YZ-styled, four-stroke-powered TT-R125LE begs to be ridden by everyone from bigger kids to adults. Low Seat Height A seat height of less than 32 inches makes this bike accessible to most riders, but more than 11 inches of ground clearance and long-travel suspension at both ends make it a serious trail bike as well. 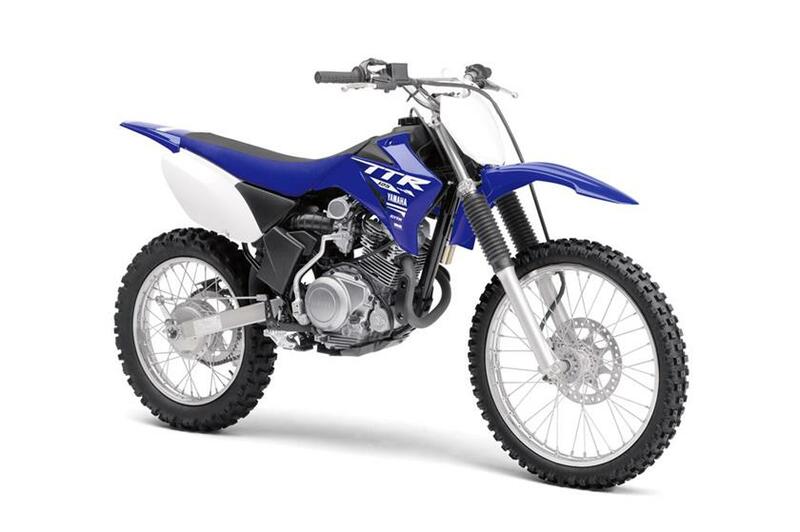 Full-Featured Performance The TT-R125LE model features push-button electric start, 19-inch and 16-inch wheels for great handling, an aluminum swingarm, adjustable suspension calibrated for aggressive and/or bigger riders, and 220mm front disc brake.